Louis Vuitton meets Lanvin. - cocoroxic - Swiss Style Blog. The best thing in the whole wide world has got to be traveling around with your loved ones without having a specific plan, as to where to go and where to stay and what to eat, at all.. It might sound all silly and childish but whenever I go on unplanned and spontaneous trips, the best things happen to me. You suddenly drive by a small village you have never seen before and sometimes you haven't even heard about it before and that's when the magic starts. All randomly your curiosity will guide you around the unknown streets and you'll end up finding such charming little things, beautiful architecture all around and small cafes in which you can lose all your time in the world and you won't even regret it. It was this beautiful Easter Weekend when my family and I decided to go for some quality time as we haven't done it for a while and each of us were missing each other. (And yes we all still live in the same house together but we're all so busy that we barely get time to do anything at all. Sounds crazy, I know, but that's how adults do it. Haha.) Anyway, back to the trip I was talking about. 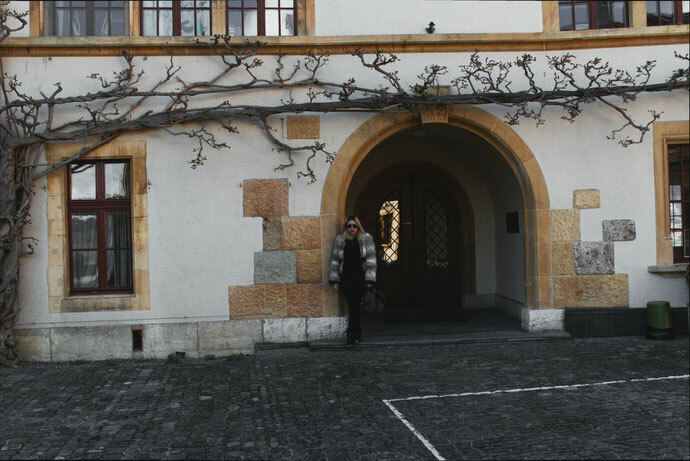 The only thing we booked in advance was a lovely hotel right by the lake of the beautiful Bieler Lake. And the rest was up to us. 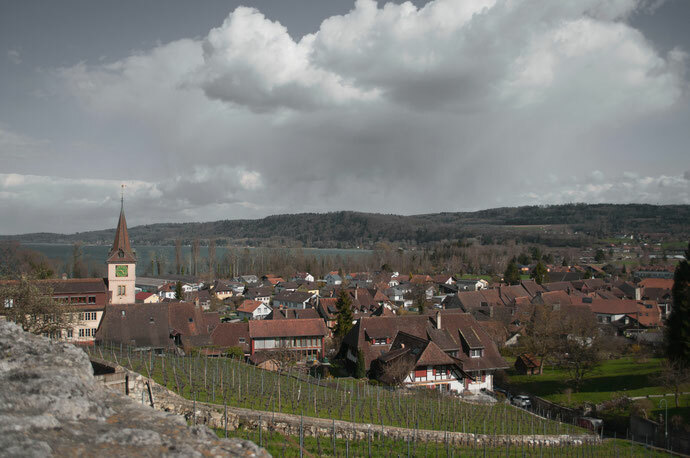 We decided to drive all around the Bieler Lake on Easter and we ended up driving up a small hill only to find a small and lovely castle with a stunning view on the lake. And of course I could not help but take shots immediately as I was eager to share the magic with you all. My beloved dad got his new job as my personal photographer that day and it was so much fun. And my lovely mama? She was the one who would find the perfect spots to get the perfect shots. What can I say? My parents are amazing and I couldn't ask for better ones because they're the best already and I thank them wholeheartedly for endlessly supporting me and to teach me how to live life. Thanks to them I've seen half of the Globe already and I'm only 24. 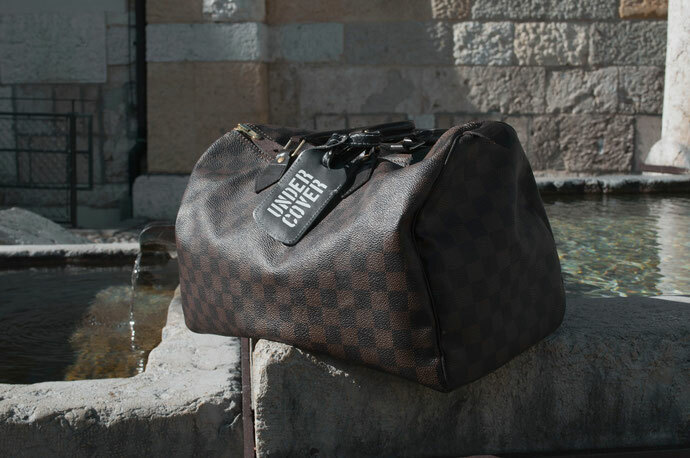 But hey, let's talk about why I named my post Louis Vuitton meets Lanvin, shall we? 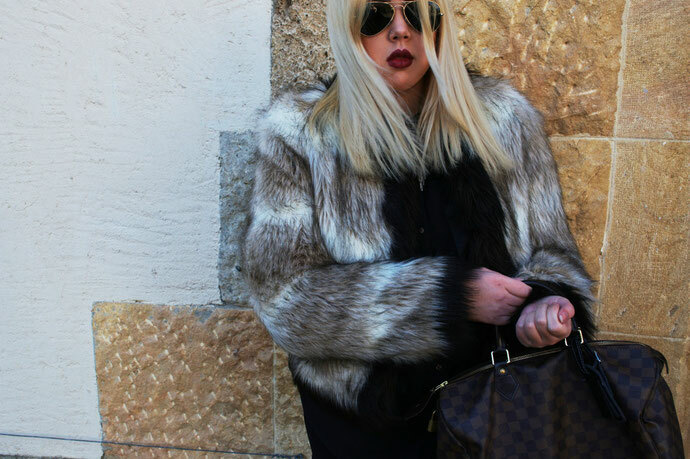 Well, the faux fur I'm wearing is from Lanvin and the bag should be pretty obvious. Both items were gifts from my parents and two of my absolute must haves. 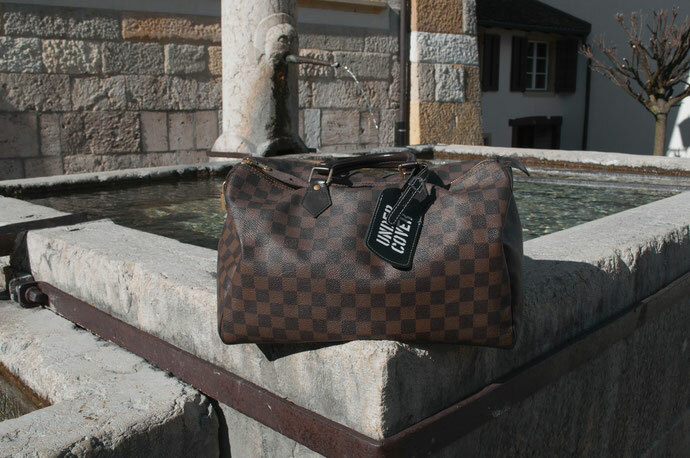 I have always wanted to own a Louis Vuitton and one day, when my dad and I came back from our summer vacation in Croatia, we stopped by the Louis Vuitton store in fair Milano and decided to spend a little time time as well. It was super random and I was so stunned when dad allowed me to choose one of those super classy bags for my 18th birthday. Ever since then I use this bag almost daily. The Speedy offers so much space and always looks good in your dainty hands. Elegant, sporty, classy, it can simply be whatever you want it to be. It is a timeless piece and lasts a lifetime. There is literally no reason why one should not buy Louis Vuitton.. If you ever think about bag shopping in the new future, I suggest you invest in a timelessly beautiful Louis Vuitton and forget about the noisy trends for a while. Tradition will never go out of style and you'll always be looking on fleek while carrying one of them, no matter what you're wearing in these beautiful moments you share with whoever is around, I promise. 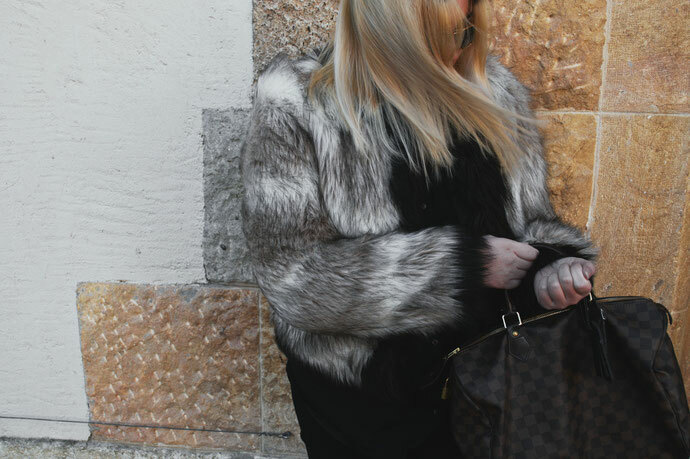 And if you ever need traveling tips or suggestions or simply want to know more about the bag and my faux fur, do not hesitate to contact me and chat with me for a little while. I'm always happy to help and share. love this jacekt....have the same: lanving soooo great! ps: was a pleasure 2 meet you @fashionhotel!